False blister beetle. 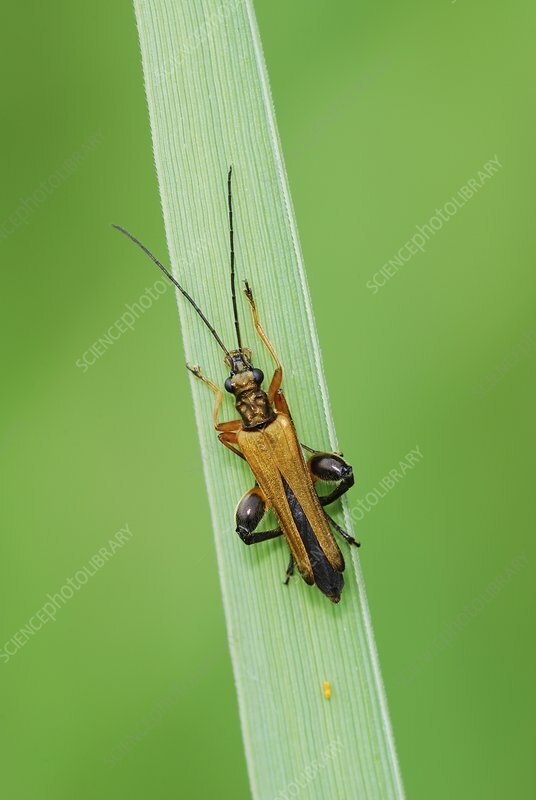 Male false blister beetle (Oedemera podagrariae) a blade of grass. These common beetles are found throughout most of Europe and the Near East. Photographed in Poland.